Joe Butler, the creator of Comic Collector Live, is an avid comic book collector. Joe's vision was to construct a service that allowed comic book enthusiasts the opportunity to get in on the action and fun of comic collecting! His ultimate goal was to make it easy to organize, track, sort, group, appraise and have fun again with other comic book fans. To top that, he wanted to also provide a vehicle for comic book collectors to hook up with buyers and sellers to complete a collection or sell off comics. The CCL software is truly revolutionary, allowing users to simply click to organize, build a wish list, and click again to go to the live market and to be connected with other comic book fans. 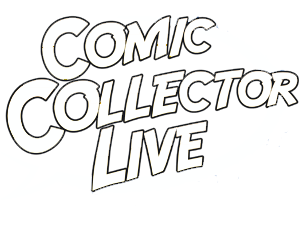 Unlike buying or selling on an auction site, Comic Collector Live makes searching for specific comic books not only easy but "automatic"! CCL has one of the most active comic book communities on the web. One of the coolest features of Comic Collector Live is the vast and ever-growing database that includes thousands of covers and a unique folder system (patent pending) that makes organizing simple as clicking the mouse. So, join with thousands of other fans who are using the software, and getting the most out of the best hobby in the world (Comic Collecting)! Join now and get in on the action!